How much should you pay for Local SEO Services in 2019? The question “How much does local SEO cost” is perhaps better stated as “What’s the value of local SEO?” The key to gauging that value is understanding how it works, what benefits it delivers, and the effects that your choice of an SEO provider can have on costs and on results. Citations: Listing your business and its locations in the top 50 online directories is a fundamental local SEO strategy. You may need up to 100 citations, depending upon the industry you’re in. Managing citations may cost $50 to $150 per month. Local links: Building authoritative links back to your site is another local SEO essential. An effective campaign may require a budget of $500 to $1,500 a month just for link development. Locations: There are efficiencies to be had if you have a single website with multiple business locations, but there are still basic recurring costs for managing multi-location local SEO campaigns. Expect to budget $750 to $1,500 per each location per month. How local SEO gets done. The basic mechanism is straightforward: Established local search engine optimization tactics are used to help ensure that people searching for a brick-and-mortar business in their local areas can easily find your business before they find your competitors’ companies. Behind the scenes, there are a great many moving parts that affect where and when a local company’s website appears in search results. Some are relatively simple, are done one time, or take just a few minutes; others are more complex, must be built over time, or must be done repeatedly. Local SEO tactics may be on-site or off-site, and both are necessary to achieving great results. Google looks not only at your website for signals to use in its rankings — it looks at the entire web. Wherever it encounters a place that cites your business or has a link back to your website, that tie to your business is assessed. Citations are references to your company that include your NAP: business Name, Address, and Phone Number, and are used to improve local rankings. The value of citations to rankings lies in consistency — all of your citations must be the same across the web for best results. In determining rankings, Google also assesses the value of the links back to your website that appear on other sites. If it deems the other site as popular, authoritative, and trustworthy (among a few other factors), the value of the link to your site is probably high. Your site’s ranking then benefits from what is basically a halo effect. Because the value of good links is so high, local SEO practitioners will likely spend a great deal of time working to develop these links. Very high-quality links from relevant local sites are difficult to obtain and the search for them never ends. This intensive, ongoing work will be reflected accordingly in the cost of local SEO. The more locations your business has, the more you’ll need to spend on improving your rankings. Each location will need to be managed as a separate business from the perspective of local SEO, with their own citation consistency, unique content, and pages on your website. Local SEO always includes research into the keywords that potential customers use to find what you have to offer. Your local SEO costs multiply according to the number of your products and services as multiple keywords for each need to be targeted in your content and optimized across your website. Are you in an unusual niche or one of the only businesses in your area to offer a particular service or product? If so, it can be easier to stay ahead of the pack in local search results. If, however, you have dozens of direct competitors, you’ll need a higher local SEO budget to stand out in the online crowd. You’ll need more links and fresher, more relevant content (on an ongoing basis) to improve or even maintain your spot. 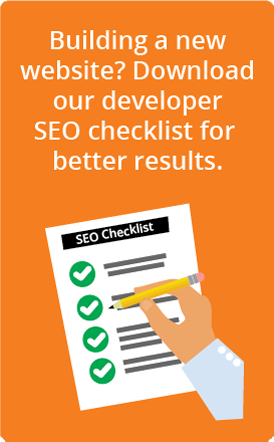 • If you have an established business but a website that used low-quality SEO tactics in the past, it can take a long time to remove those barriers to good rankings. • If you’ve had a business website for a while but haven’t invested in any SEO, you’ll have a slight advantage, but will still need several months to gain significant local rankings. • If you have a brand-new business with little or no online footprint, building a positive local presence online won’t happen overnight, but you can see some early gains if you don’t have a lot of local competition. So, what should you spend on local SEO? The answer, of course, is it depends, and it’s based on the factors above and more. If your success depends on the ease and speed with which potential customers can find you online (including on mobile devices, when they’re likely to be making a fast choice), then you can’t afford not to have a local SEO budget. Learn as much as you can about your best audience and their behaviors, which will help you decide how much of your overall marketing and advertising budget should go toward local SEO. Keep in mind that the adage “you get what you pay for” holds especially true for online marketing. A $500 monthly budget will buy you very little in the way of SEO, so you won’t see much in returns. You may not need to spend $5,000, either, unless you have several locations. For reference, here’s more information on typical pricing ranges for our local SEO campaigns. The best course of action is to talk with a number of local SEO providers about what they can do for you and what they’ve done for others. Great results always speak for themselves.